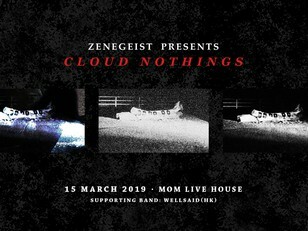 Zenegeist is honoured to present Cloud Nothings’ debut live performance in Hong Kong, as part of their well-anticipated Asia tour, for their latest album, Last Building Burning. This critically acclaimed punk-pop outfit from Cleveland in Ohio, lead by the lead vocalist Dylan Baldi, is ready to bring and unleash their fully transformed uncompromising and hysteric rock tunes to you. 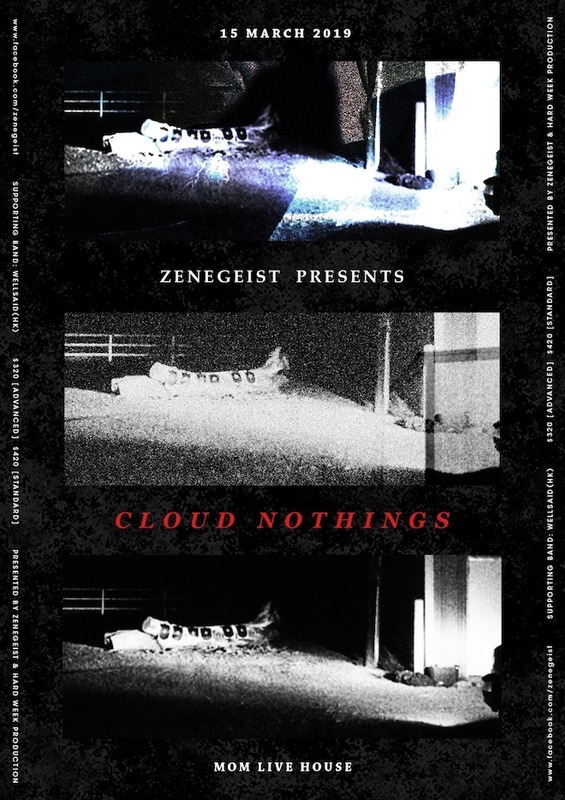 From a virtual one-man bedroom band a decade ago to now a 4-piece fully equipped band, Cloud Nothings never cease of the emotional outburst through their knifelike rhythms and throat-ripping klaxons. Despair, disengagement and disbelief to society, communities and human beings orchestrated their sound yet this album, Last Building Burning, is further evolving with putting arrangements of live performance into the recordings. "Life is just an escape, I need a clean break!" See you all at MOM Livehouse this 15th of March!